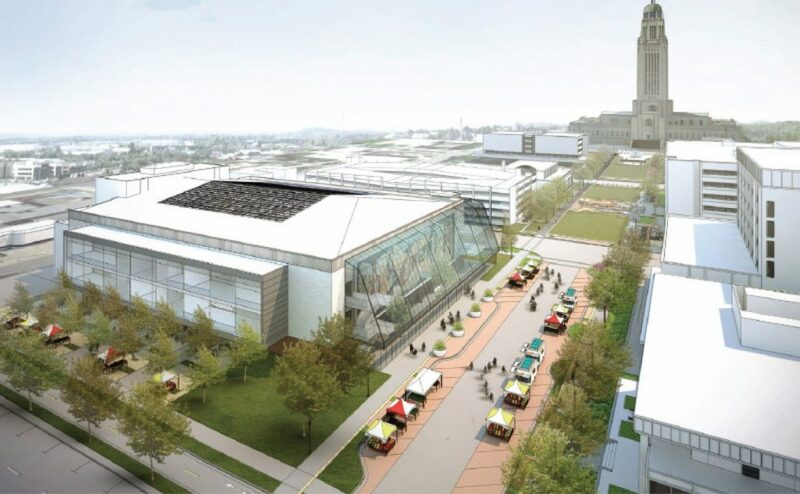 Click here to read “26 Reasons Why a Lincoln Public Market is the ‘Highest and Best Use’ of the Pershing Center Building and Site” (Word document) by Joslyn Institute President and CEO W. Cecil Steward. View the PowerPoint presentation, “A LNK MARKET? Public Perceptions, Reactions, and Ideas” by Lisa M. PytlikZillig of the University of Nebraska Public Policy Center. Click here. Read the full report, “LNK Market Community Conversations”, the results of a series of surveys conducted by Dr. Lisa M. PytlikZillig of the University of Nebraska Public Policy Center. Click here to read the PDF report. 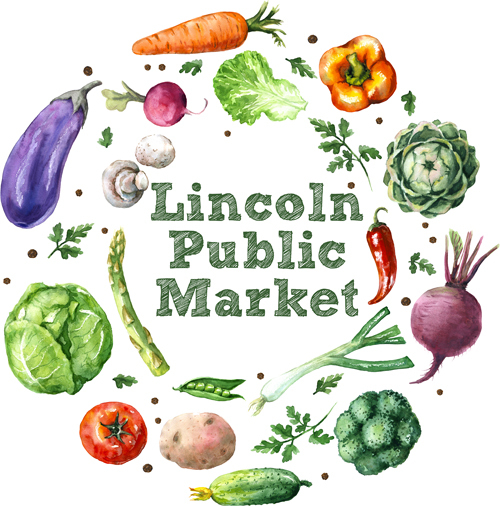 Lincoln Public Market will have its own website soon. Keep an eye on this space to get the link when it becomes active. To subscribe to our newsletter, please send us an email and let us know. Nationwide, interest in local foods is skyrocketing. Farmers markets, community-supported agriculture (CSAs), farm-to-school programs, restaurants that source ingredients locally, community gardens, and demand at local grocery stores for local foods are all growing year over year. Last year, the Federal Reserve Bank, whose views might constitute an economic bellwether if not directional imperative, published an important series of white papers, Harvesting Opportunity: The Power of Regional Food System Investments to Transform Communities, which posits that food systems are a dynamic driver of economic development, job creation, community sustainability and growth, and improving the lives and health of people, among other benefits. The Joslyn Institute for Sustainable Communities began exploring the viability of a regional food hub and public market in 2015, meeting with food providers, producers, non-profits, wholesalers, and other stakeholders, to determine whether a regional food hub and public market might be established in the vacant Pershing Auditorium, which the City of Lincoln had designated as surplus property. The report we produced at the end of this study, Feasibility Analysis: Regional Food Hub and Support Facilities, can be viewed here. In the process of this feasibility study, the Joslyn Institute worked with Clark Enersen Partners to design a dynamic multi-use conversion of Pershing to include a commercial kitchen, food processing facilities, food vendor areas, cafés and sidewalk café, indoor greenhouse, artist studios, living space, office space, and more. Since the feasibility study was complete, the city has taken no action nor made any final decision on the disposition of Pershing Auditorium. Meanwhile, the Joslyn Institute has done further study, analysis, and planning for a regional food system through a US Department of Agriculture Value-Added Producer Grant along with Lakehouse Farm and a group of other stakeholders. The group has met twice a month for the past two years; visited public markets and food hubs across the country; convened meetings of food consumers, retailers, wholesalers and others; and conducted surveys of people throughout the region to determine how a public market might be perceived, welcomed, and any advantages or disadvantages of such a regional food system. The results of that two-year study were presented at a meeting of all stakeholders and participants in March 2018, and a report is forthcoming. When it is produced, we’ll include a copy of the final report here, so please watch this space. Meanwhile, in the sidebar on the left side of this page, you will find “26 Reasons Why a Lincoln Public Market is the Highest and Best Use of the Pershing Center Building and Site”, a copy of Lisa Pytlik Zillig’s PowerPoint presentation on the findings of the surveys we conducted during our study, and a detailed report on that survey in PDF form.